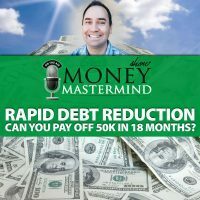 Are you stuck about what to do with your money? Are you unsure of where to go next? A financial planner might be able to help. There’s a reason that even financial professionals look to others for an outside opinion. A good financial planner can help you see new things about your finances, and make a plan for the future. 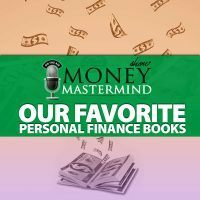 Katie Brewer from Your Richest Life joins us to talk about the importance of a fresh set of eyes when it comes to your finance future. [0:00:18] GC: Welcome to the Money Mastermind Show. We’ve talked about the benefits of a good financial planner to help you with your finances before. The problem is, how do you know which one is the right one for you? How do you know you found somebody that you can trust? Tonight, we brought on Katie Brewer of Your Richest Life to help us talk about finding the right financial adviser or right financial planner. Welcome to our show Katie. [0:00:44] KB: Hi, thank you. Thanks for having me on tonight. [0:00:46] GC: Thanks for coming and the members of the Money Mastermind Show are Miranda Marquit of Planting Money Seeds, Tom Drake of the Canadian Finance Blog and we have a couple of missing members that couldn’t make it tonight, we have Peter Anderson of Bible Money Matters and Kyle Prevost of Youngandthrifty.ca. I am Glen Craig of Free from Broke and I’ll be moderating tonight. Before we start, we do have an event page so if you have any questions about hiring a financial planner or seeing a financial planner, ask us on our event page and we’ll be happy to answer your questions. So, I know I’ve heard about how important a good financial planner can be in my overall finances but I’m going to be honest, I’m not really sure what to look for and where to even start, who to trust in looking for a financial planner. So what do I actually look for? Let’s start there. [0:01:46] GC: Let’s start out with the big question out there and see what happens. [0:01:47] KB: Yes, let’s start with the really big question first and then we’ll go from there. [0:01:51] GC: Yeah and then it gets easier. [0:01:54] KB: Well, it’s good to know what you’re looking for before you go looking for it. You want to think of this as if you were trying to find a doctor who is a specialist in allergies. You probably wouldn’t just drive around your town and go in and ask every doctor if maybe they specialize in allergies. You would probably do your research beforehand. I always encourage people to do the same thing with trying to find a financial planner kind of figure out what it is that you’re looking for, who it is that you’re looking for because there are a lot of different people out there that serve different needs in different ways. If you’re wanting somebody who can essentially help you put a life insurance contract in place, then you want to look for that person. If you want somebody who can advise you on the overall picture and strategy without necessarily getting into products, then you want to make sure that you’re looking for that type of an adviser. There are a lot of different financial advisers and financial planners out there and some of them can be vastly different in how they work with people. [0:03:03] GC: Yeah, I think that’s where it gets scary and you mentioned looking for a doctor. I wouldn’t be surprised if a good number of people out there find a doctor because maybe it’s in their plan and they’re nearby and they have a good schedule with not a whole lot of other research done behind it. So I could imagine that even looking for a financial planner would be maybe at best as much research as looking in a phonebook or just hearing about somebody. [0:03:33] KB: A phone book! Wow, man, that’s way back. [0:03:36] GC: Did I just date myself? You know, a dime in your pocket and you could dial for a phone and the Rotary maybe. So where does somebody even start to look for a financial planner if they really want to actually find somebody that’s reputable? you and probably will pop up on your Google search for financial planner whether or not they fit what it is that you’re looking for. [0:04:25] GC: Right, I mean Google will just give you something that you’re looking for in that term but they’re not exactly truth tellers and they won’t weed out anything that might be detrimental to you. [0:04:37] KB: Right, exactly. You probably want to have something more specific than just Googling “I need a financial planner” because you get all kinds of stuff with that. You might show up with somebody really great but you might show up with somebody really kind of shady. I would say that it depends on what type of advisor you’re looking for. I’ll just kind of jump right into it but there are a couple of different ways that financial planners or financial advisers usually get compensated. I’m not saying one is the only way to go but you’ve got people that work on commission only. That would probably be somebody who usually works for an insurance company or maybe a brokerage firm that their job is to sell stuff. If you know you need a specific product and you want somebody to help you implement that specific product, then that might be the type of adviser that you want. [0:05:38] GC: It’s not necessarily bad if they work on commission? [0:05:42] KB: I don’t think it’s necessarily bad, it’s more a matter of do you know how they get paid because if you go sit down with somebody and you say, “Hey, I really like to know how you get paid,” and they get squirmy and they start making excuses or they’re like, “I get paid in referrals,” and they do the finger thing, then you probably don’t want to be working with that person because you know that there’s no way that they get paid in referrals and finger guns. You want to make sure that you actually know, if they’re getting paid from selling you a product, then you should know that beforehand so that you know if you should double check some of the advice that you’re getting from that person. [0:06:28] GC: Because there are people who what? They wouldn’t be quite as honest as you would think they would be? [0:06:35] KB: It’s not necessarily the honesty thing. [0:06:36] GC: I say now some type of achievement. [0:06:39] KB: It’s more of some advisers don’t necessarily have to tell you everything upfront and it’s this funny word called “fiduciary” it makes me laugh every time I say that. [0:06:52] MM: But that’s good though right? Do you want somebody who’s a fiduciary? Do you want somebody who’s required to put your financial interests ahead of whatever it is that they’re doing? [0:07:02] KB: Yeah, so you do want a fiduciary most likely. Some places do require their advisers to be fiduciaries and some places, the advisers are not fiduciaries. So these are all good things to research beforehand when you’re trying to look for a financial planner or a financial adviser. [0:07:22] MM: And I do think it’s really important to point out once again that a fiduciary is somebody who is required to put your financial interest ahead of theirs. Even if they’re working on commission or whatever, they’re still required to do what’s best for you and your position. Is that right? [0:07:44] KB: Yeah. The financial industry is a split between people. When I started in the industry, I worked for a brokerage firm and we had what was called a “know your customer rule”. It was, we weren’t required to have a fiduciary duty — sorry, I’d laugh every time. Just super mature about that, but we were required to do this what they called “know your customer”. know who you’re working with and you can pass muster. So that’s kind of the differences between how some financial planners and financial advisers regulated and how others are. [0:08:47] GC: It’s interesting like a fiduciary is the person who’s putting your interests first. Basically, if that’s the definition that you’re looking for then it means that maybe everybody else, if they’re not doing that then they’re putting their own interest first by definition. [0:09:04] KB: Sometimes, you’ve got people that work for insurance companies that are agents of the insurance company and so by law all that means is they represent the insurance company. So if you know that I need a disability policy, I already know what I need, I know how much I need, I want to go work with somebody to put that in place, then that’s where you would go find somebody that’s with a good insurance company that can kind of be your insurance person. I have one of those, he’s great — shout out to Mark! Because I know what I need but I also like to have somebody that is an actual person that I can talk to that if anything ever happened, my husband could call him instead of attempting to call 1-800-give-me-my-money. [0:09:55] GC: But it sounds like you have to be somebody that really knows what you’re looking for already. If you have the information, then you can go in there and protect it. It sort of like it screams car dealership to me. If you don’t know what you’re looking for, you’re going to walk in there and you’re going to see the guy with the Hawaiian shirt. He’s going to say, “Hey, come on over here. I’ve got a great deal for you,” and the next thing you know, you’ve got some suit up car that you don’t really need that you’re paying to the nose for but you feel happy not buying it. Because sometimes, when they start working with me, they have this funny portfolio of stuff that’s been put into place and I could tell immediately that they were sold all of these things. [0:11:26] KB: Right and you’re in college and you get financial planning/insurance people hit you up and then you get all those great credit card offers with the free t-shirts right? [0:11:37] GC: And you never signed up for any of that information but somehow, they find you. [0:11:42] KB: Right, yeah. [0:11:42] GC: Yeah, I could definitely see that happening for people who are maybe considered in a higher bracket when they get out and what can we get them in on for the rest of their lives and I’m going to get a commission on. like this is what, we do want a good financial planner and they are out there. your insurance agent or what are some of the advantages of having it separate, separating it out? [0:13:02] KB: I think a lot of it comes down to what are people willing to invest out of their pocket, and then what are their expectations? If you go with a fee only financial planner, you have to know the only way they’re getting compensated is because you’re paying them or maybe because they’re managing some investments for you and they charge a percentage of that. But if you’re somebody who’s like, “I can’t afford to pay somebody out of pocket but I need a little bit of extra help,” and you know that that person is getting paid from products, then that might be the only way that you have to access that advise, which is unfortunate but it’s more of knowledge is power. If you know what you’re looking for and you know what you’re getting with that, it’s like you have a doctor who is a surgeon — I keep going back to doctors! If you have a doctor that’s a surgeon and they’re like, “Oh your knee hurts? You definitely need surgery” you might think, “Maybe I should go get a second opinion on this because probably the only way that you make money is by doing surgery on me. So therefore, your recommendation for me to get surgery should be backed up.” So it would probably be the same thing with if you have somebody that’s affiliated with an insurance company and the only thing that they ever prescribed to you is insurance. [0:14:38] GC: But I don’t think it’s the wrong comparison and even doctors, I go to an allergist and he’s a board certified allergist and he’s been really great. But he told me a story once how he had one person come in and she was getting allergy shots from her general practitioner and nothing worked. So this is a person who maybe called himself an allergy doctor or that he could handle this type of work but wasn’t actually part of that. And there’s a bit of like, “How do I know what I don’t know?” If you don’t know to look for somebody who’s a fiduciary and kudos to the industry for making it a word that most people probably aren’t able to spell so how could you ignore for it. [0:15:49] MM: Or pronounce properly? [0:15:50] GC: Yeah, you can’t even put it into Google so how would you even know? If you don’t even know that, what are you going to get? So what do you need to look for when you find somebody that’s reputable? [0:16:04] KB: Well, I would say if you could start looking for somebody that’s a fiduciary, then that’s good. [0:16:10] MM: Are you a fiduciary? [0:16:12] KB: I am a fiduciary. [0:16:15] MM: Just checking. [0:16:16] KB: Yeah and then I get to laugh every time that I say it, that’s good too. But you also want somebody that’s got some credentials most likely. There’s a lot of people, this is really bad but there’s a lot of people that come into this industry and hang around for eight months and hit up all their friends and family because that’s what they’re trying to do and then they don’t make it and they wash out. You do not want that adviser because they’ll leave and you’re stuck with whatever company that they were with as like an orphaned account where you don’t really even have somebody to talk to. [0:16:53] GC: How do you that leg work to know what their credentials are and whether that’s real or not? [0:17:00] KB: Right, I would ask. I would say kind of the gold standard is the certified financial planner designation. That covers six different areas of financial planning. Essentially to get that designation you have to take six courses, it’s not very easy. You have to take an exam and pass it and there’s a 60 to 70% pass rate on that so a lot of people never pass the exam. You have to at least three years of experience in the industry and they’re pretty strict about it. You know if somebody is like, “Well, you know I worked with a software company and technically, we’ve dealt with some financial stuff.” They’re like, “Were you dealing with financial planning? We’re you doing financial planning or were you working with a client?” If you say no, they won’t allow you to use that. So that’s something where if somebody has the CFP, that’s a good place to start with knowing that they’d been in the industry for at least a couple of years. They have taken an educational background to get that criteria and then it’s something where you have to adhere to code of ethics. So if somebody is a CFP and they get caught doing something they’re not supposed to that doesn’t adhere to CFP board of ethics, don’t check them out. You’re saying you are no longer allowed to use or study or mention. [0:18:20] TD: The credentials are nice because even like the example earlier with the insurance salesman that calls someone to do financial planning, even if they have your best interest in mind, it doesn’t mean they’re the best financial planners. Like with the dentist or the doctor analogy, I could have a really good doctor but I’m not going to let them do my dental work or anything just because it’s similar. I’d want the right person for that specific task. [0:18:48] KB: You don’t go to the doctor that does your dental work? [0:18:50] TD: No. I’m sure I’d get a great rate on it but. [0:18:56] GC: And a lot of things I’d imagine like with a doctor or any other industry, you could probably go these two day seminars and get a certificate or something that says maybe you know how to do something and that’s different from having a full on credential like a CFP. [0:19:12] KB: Yeah, there are a lot of other letters that are out there. I remember the first firm that I was with encouraged everybody to get what was called the AANS and they called it the “mini CFP” and I was like, “What does a mini CFP, is it a little baby designation?” There are a lot of different credentials out there. If you’re interviewing somebody and you don’t know what they are, ask them. Then go look them up and see what you actually have to do to get them but CFP’s are the generalist in financial planning. CPA’s are specialist in tax and then some of them get a financial planning credential on top of it called the PFS, personal financial specialist. So I would say going with one of those two as the base starting point would be good. [0:20:06] GC: Now what type of services would they do for you? Be it the PFS or the CFS, what can we expect from that? [0:20:17] KB: We’re starting to throw our designations around, what is CFS Glen? [0:20:22] GC: I’m just going to make them up now. [0:20:25] GC: That’s my name. [0:20:30] KB: Well, financial planning in general includes a couple of different areas. It includes budgeting and cash flow which also affects debt payoff and credit card payoff. You’ve got insurance, estate planning, tax, I’m totally missing some because it’s night and I should have written it down. [0:20:52] MM: I thought you were a CFP man, come on. MMS 70 Transcript [0:20:55] GC: I would think investing is part of that? [0:20:58] KB: Investing, that is a big one and employee benefits. I got to six. [0:21:05] MM: They get into six. [0:21:07] KB: Yeah, the things is not every CFP covers every one of those, so that’s also something where you want to make sure that you ask. If you’re going in for budgeting help and the person that you’re working with specializes in insurance, you might get some awesome insurance, you might not get great budgeting help. [0:21:27] MM: Well, I think that’s a good point though because when I look for a tax accountant, I want to find somebody who specializes in small business or who has experience with freelancers because there are lots of different people who can prepare your taxes and help you out but do they actually understand your challenges and where you’re coming from. I think that applies really well to your financial planner as well. [0:21:54] KB: Yeah. You’ll find a lot of financial planners who specialize in investments or specialize in insurance and that’s just from the industry compensation perspective. They have come into the industry that way. You want to find somebody who fits what you need and what you’re looking for. If you need something that’s more general, you’re probably want to look for a CFP and somebody that does comprehensive financial planning as oppose to just focusing on particular products. [0:22:27] GC: At what point does a person say, “You know what? It would really help me to bring an expert in.” Like how do you know that that’s the next level for you? [0:22:38] KB: Well, hopefully it is before you get to the point where you’re in so much pain that you have to bring an expert in. Okay, so I’m going to continue on my health analogies. If you’re somebody who goes to the dentist every six months and you take care of your teeth, you probably are not going to get to a point where you’re having to have like four teeth pulled out and a root canal hopefully. Shout out to my dentist, but if you’re somebody who’s like, “I hate the dentist. I never go. I only go when I am in so much pain that I’m crying,” you probably have waited too long and so I would say the same thing with financial planning. When you realize that you don’t know what you don’t know or you don’t have time to deal with it or you lack either the time or the expertise., then that’s probably the time to sit down and talk with somebody and figure out a plan going forward. To wait until you’re in “financial pain” sometimes that’s a little too late to be doing something or it’s a lot harder to get out of whatever’s put you in financial pain. I’m not discouraging people if you’re in financial pain like please go and see somebody but don’t wait until you’re to the point where you’re in financial pain to go talk to a financial planner. [0:24:01] GC: I would imagine though that it also is on the other end too. Maybe you’re good with your finances but maybe things scale up to a certain degree, maybe your wealth gets to a certain point or your family situation gets to a certain point where maybe you just don’t have that expertise anymore. Would that be a consideration also? It’s not something where you just have to do it because I’m really bad with my finances. [0:24:24] KB: Yeah. I actually work with quite a few people where they feel pretty comfortable with their finances and they want that second opinion from somebody that is well versed and an expert in this field to just kind of like look over everything and tell them if they’re missing something or there are opportunities that they should be thinking about. Even some people that do feel really comfortable handling all of their own stuff will occasionally get a second opinion or a onetime financial planning check in. [0:25:01] GC: So let’s say I go to a financial planner, what type of control should I expect that financial planner to have over my actual finances in general or specifically? [0:25:14] KB: Well, so this is another independent question but if you go to somebody where they usually provide a service where they take over everything, then you should be somebody who’s comfortable letting somebody else take over everything. There are financial planning firms that offer financial planning and don’t make it contingent on managing your investments. For those amount, there’s a lot more financial advisers and planners that do require that they take over your investments management. Just knowing yourself and knowing like, “Is that something that I like to have control over? Or is that something where I really don’t care who’s doing it and I don’t want to deal with it.” Kind of knowing that beforehand can really help you to narrow it down. [0:26:09] GC: That sounds a little scary. [0:26:12] KB: It’s not. [0:26:12] GC: Well, it’s like, “I don’t care”. [0:26:15] KB: Okay, not don’t care but people that want to let somebody else drive, if that makes sense? And they’re kind of the passenger in the car versus there are people that want to be driving and want the financial planner to be the passenger in the car. [0:26:32] GC: To use the car analogy, I wouldn’t just fall asleep on the car and say, “Hey, I hope you could bring me somewhere”. You would still go in with some direction and hopefully the driver turns around and says, “Is it okay if I take this highway and is it okay if I go this way”. So what type of rapport is there going back and forth with that? How much control do they have over your finances? To me, it’s scary that I would give somebody, “Here’s my money,” and then find out that whatever’s happened. Where is that balance there? 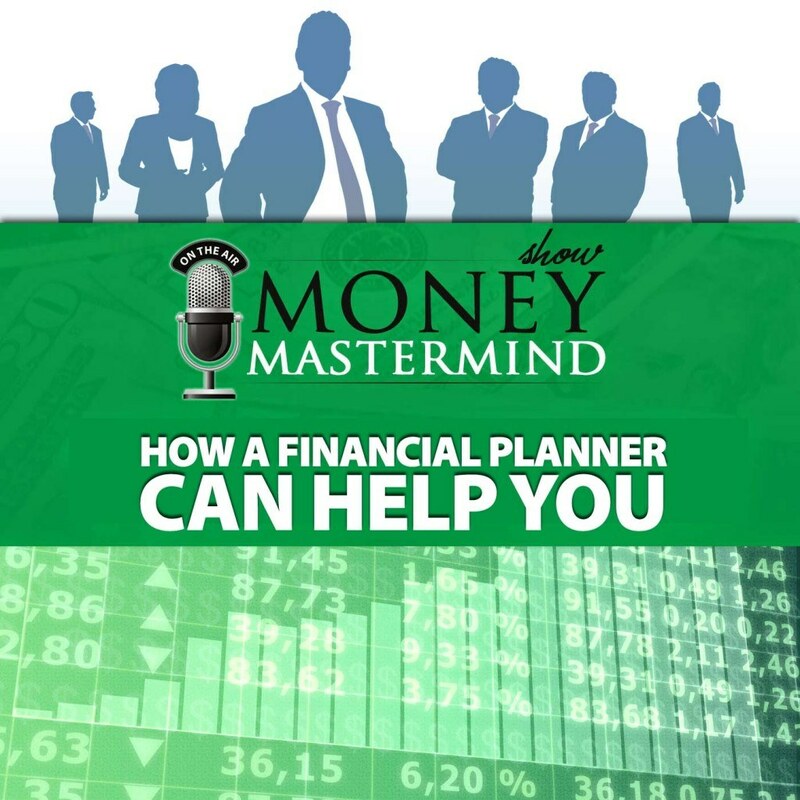 [0:27:09] KB: The balance is in knowing how you’re working with that financial planner. I mean I wouldn’t encourage everybody to just blindly go in and hand over all of their stuff and be like, “Bye, see you and check in 10 years. I hope you can do something great with this.” And if that’s what you’re being pitched, then do some more research on whether that’s somebody that you want to be using or not. [0:28:18] GC: Excuse me. Okay. So what about options out there where you’re getting more of a robo-advisory sort of a computerized option out there? How does that compare with actually seeing a person who you can discuss everything with? [0:28:41] KB: Yeah, I think a lot of the robo-adviser type solutions are still more geared towards investments. A lot of them are still more like, “Hey, based on what you put onto this questionnaire, here’s the list of investments that you should have.” Some of them also have account aggregation which means that you link all of your accounts in and you can see them in one place which is very helpful on financial planning. It’s good to have that big view of where everything is but as far as I know, there’s not a whole bunch of robo-advisers that are trying to tackle things like, “Do you have a will?” And you have the right amount of disability insurance for you, are there any employee benefits that you could have access to because they’re offer is part of your employee benefit suite but you are not taking advantage of it. Those are not easy things to robotize. [0:29:36] GC: There are services out there though that are like online lawyers where you sign up and they’ll give you whatever forms you need to fill out. I could start a company for X amount of money, I could get a form form a will, I think that there are some of those types of services out there that certainly sell their wares and I’m not saying that it’s a bad thing but it’s the question of when do I need that human interaction? can’t just tell them, “You just need to save more,” because it’s not magic money. It doesn’t come out of the air because I tell them that you need to save more. if there’s a magic one. [0:30:57] GC: You’ve ruined the whole basis of our show. [0:30:59] KB: Oh. [0:31:04] KB: If we discover that there’s maybe something going on with us needing to tweak systems for the budget, that’s something that they wouldn’t have been able to self-diagnose. It’s like looking up your symptoms on Web MD which I’m so guilty of this. I totally do this, the other day I spent an hour and a half. [0:31:28] GC: And do you find that you have the worst diseases like the one medication? [0:31:31] KB: Yes, oh my gosh I went buying according to Web MD so finally, my husband was like, “Would you please just go see the doctor” and I was like, “Fine. I’ll go to the doctor,” so I did and guess what? I didn’t have any of those like awful diseases that were a possibility from the symptoms that I was experiencing. [0:31:54] GC: That’s good to hear. [0:31:56] TD: Katie, you’ve mentioned a few times in this episode about asking questions of your adviser. If you were to look for an adviser just from scratch, would you suggest almost multiple advisers? Kind of giving a bit of an interview process? [0:32:13] KB: Yeah. That’s definitely something that you can go through and do an interview process. I would say just because I’ve heard some people come into me that did this, know what you’re dealing with beforehand. There are some people out there that are super talented sales people but they don’t come off as sales people. [0:32:35] GC: Those are the best ones. [0:32:37] KB: I have very intelligent clients that are like, “Oh my gosh, I totally thought this person had our best interest at heart and then somebody else looked over it and said what are you doing?” Doing the research and doing an interview, I think those two go hand in hand with each other and asking the right questions. [0:32:57] MM: Okay, so what are some of those questions or did you cover most of those? [0:33:01] KB: Yeah, so I would say the questions that you need to ask of a financial planner is, what are your designations or what is your education? What is your experience in the field? How do you get compensated? And with that, it’s pretty straight forward, people are commissioned or they’re fee and commissioned which we call fee based or they’re fee only. Don’t let anybody tell you there’s a fifth option out there because there’s not. It’s one of those three options. You want somebody who listens to you, that’s a big one. So if you go in and you’re asking about XYZ and that person immediately jumps forward and is like, “You know what you need? You need this thing,” and you’re like, “I don’t need this thing. I needed to talk to somebody about this other particular goal I came in.” So you want to make sure that that person is somebody that is actually going to take the time to listen to what you are trying to accomplish before they jump in to tell you how you should fix it. And then we talked about credentials and how that can weed out some and let you know what the experience are. So the certified financial planner, the CPA which is accounting and then they have a designation called the PFS that is something that accountants get that is very similar to the CFP. [0:34:28] GC: I know I like to go to a CPA for my taxes because there’s so much in tax law that I just can’t keep up with that even if I use the software, I think I still go to my CPA I am getting so much more information and availability that I wouldn’t otherwise have and I imagine that’s what going to a good financial planner is like. [0:34:49] KB: Yeah and I mean it’s not necessarily that that person is the guardian of a bunch of information. I mean we are in the era of Google, like you could find anything that you want but you can’t necessarily determine if what you find is actually relevant back to your situation. And that’s where I think a good financial planner can really actually help, helping you weed through the stuff that is not relevant and help you actually determine what is relevant and then off of that what you need to be doing going forward. [0:35:44] KB: Right, yep. Exactly. [0:35:47] GC: See I think for a lot of people, it’s just kind of a scary process to try to find somebody that’s going to tell them about their money and maybe even going to the doctor. I think a lot of people go there and they go, “You know what? I don’t want to go and I don’t want to be told I need to cut back on my food. I need to do this and that, so I’m just not going to bother.” I think that’s why a lot of people maybe avoid financial planners. Sometimes financial planning is a little bit uncomfortable because you’re having to let somebody know stuff that are probably a lot of other people don’t know. 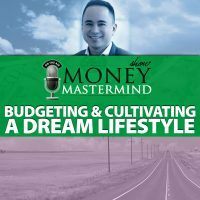 You don’t usually sit around with friends and talk about, unless you’re a financial nerds like us, but normal people they don’t want to talk about what they spend on a monthly basis or what kind of technology tools are really working for them. It’s uncomfortable for them to talk about these things that they don’t normally talk about maybe even with their family members or their spouses. [0:37:18] GC: That’s right, you don’t want that look of somebody else’s, “Yeah, you know you should have,” and people don’t want that. They want to go in there and it’s hard to — sometimes a good doctor would phrase something like, “You know what? Yeah, you could do a little better than that.” And then other doctors are like, “You really can’t touch that,” and you just feel so bad about it. I think a lot of people try to avoid that. [0:37:46] KB: We’ll add that to our list of criteria when you go interview a financial planner. If they immediately make you feel horrible, you shouldn’t use them. [0:38:17] KB: Right, you just have to know where to look for those people. There’s a couple of networks that come to mind. I’m in the network called the XY Planning Network and so it’s fee only financial planners, so non-commissioned, non-sales and they specialize in working with Gen X and Gen Y, which is essentially 20, 30, 40 year olds. There’s another network called the Garrett Planning Network that is nationwide and those advisers are probably more broad ranged but they can work on an hourly basis, which means if somebody has a couple of things that they want to go over, they might be able to help out with that. Some of the people on XY Planning Network do that as well. Where they can do a onetime sit down and talk about something. Don’t have to make a huge commitment. [0:39:30] GC: They don’t read tea leaves for you? [0:39:53] GC: Well, let me ask you on a similar type of question there. You talked about how a lot of people wait until the last minute, wait until things are bad. Let’s say I’m a person who is buried in credit card debt, I’m not really taking care of my finances, maybe I don’t have my financial plan set, what can I expect? ‘Cause I imagine that that type of a cost is something that would probably keep a lot of people from getting what they need to get. [0:40:18] KB: Yeah. So I actually talk to some people like that every once in a while and a lot of times, I actually do a free consultation for them and then I will refer them to something like the National Foundation for Credit Counselling and encourage them to get into some sort of group class where they can actually have the support and the structure of having other people to go through a process with them. I know that I’ve had people before and I’d put it this way, it’s hard to proactively plan if you are drowning right now. And so with some of these people, I kind of at least help them to find out where to get their resources to go from being underwater to at least treading water. And then from there when they get to the place where they’ve been able to at least pay their minimums on their stuff and start to actually chip away and maybe make some changes in their lifestyle to actually have their budget moving in the right place, then maybe that’s the appropriate time to go back and visit with a financial planner. [0:41:30] GC: It sounds good. So as a planner yourself, do you seek out somebody else for their expertise? [0:41:38] KB: I tend to be somebody who I coordinate and then I use other people for certain pieces. I did mention my shout out to my insurance agent earlier. I do use him to review what we have every year if we ever need anything additional, I do that. I’ll actually use him sometimes to serve on things by him with my clients because I don’t sell insurance. I prescribe insurance but I’m not the drug rep, if that makes sense? [0:42:15] MM: I’m like, I want to see how the insurance agents thrilled to death that we’re comparing insurance to drugs. [0:42:22] KB: Hey, well you know, you get to wear really cool suits and call on doctors with you’re a drug rep.
[0:42:46] KB: Yeah, so I’ll usually tell them what it is that they need and give them the education to not just wander into a situation where they’re going to be up-sold and then a lot of times I will refer them to a particular place and or coordinate for them actually putting that into place. But yeah, I do tend to bring in other specialist because even though I have sold disability insurance before in the past, it’s been quite a while. I don’t stay up on all of the different areas and which ones are best for which types of occupations. These things are complicated so for those types of things, I have go to people where I know that I could trust that they’re not going to up-sell somebody and that they know their stuff and that’s a situation where somebody is going to them as an adviser in a specific area but the client already knows what it is that they need and so they are able to get the product that fits them. [0:43:53] GC: It’s like you’re a good contractor, you could find that good plumber or that good roofer and at least arm them with the information that they would need to flush out what they really want. [0:44:07] KB: Yeah and I think that’s a good analogy actually. I mean I have estate planning attorneys that I coordinate with and help people to go through that process. I coordinate sometimes with CPA’s and kind of getting them information, with my clients expressed consent because I don’t give any information out if they don’t tell me to. But we’ve gone through all of this and then they go to the next financial professional and then that financial professional asks them for everything that we just went over. They’re like, “Katie, please send the summary,” and I’m like, “I’m on it.” It saves them from having to go through the same process over and over again. [0:45:02] KB: Right. Yeah, exactly. [0:45:05] GC: Katie, this has been a lot of great information and I know whenever I speak about financial planning, I know myself, it’s a good thing to look into and it’s something that I haven’t done enough of myself but it’s always great to hear what to do and how to go about it. I’d like to wrap up here and we’ll go around and we’ll just have some final words on finding a good financial planner and Tom, if you could start with us on what your final thoughts here are? [0:45:38] TD: Yeah. For years, I’ve preached about fee only financial planners but I have softened that a little because not all the commissioned based financial planners are evil. Some of them have your best interest at heart and also if your portfolio’s that are pretty small, if you’re just getting started it may not matter as much. Like when the fee only starts to have some saving or once your portfolio hits a certain size, so you don’t have to be a 100% fee only necessarily. [0:46:13] GC: That’s a good point, right? If you’re only investing in $100 bucks, that fee only is going to hurt you a lot more. [0:46:21] TD: With those spending only $500 bucks, yeah. [0:46:27] TD: Well some people don’t know and they only start with this. [0:46:29] MM: That’s what the robo-adviser is for. [0:46:34] GC: Yes, so Miranda, what’s your final word? [0:46:36] MM: Just to have a good idea of what you need, kind of what Katie is saying. Figure out who specializes in what you’re looking for so that you could get somebody that matches you because this has to be somebody that you’re comfortable with. This has to be somebody that you don’t walk in and just feel “ugh” about. You really need somebody that you’re comfortable with and that you feel like you could trust and that you feel like you can sit down and talk to. So I like that idea we were talking about earlier interviewing and going through this process and most financial planners I know will at least give you a 15 to 20 minute consultation where you can sit down and get a feel so take advantage of that. always see and you’re like, “Oh man, I just don’t want to see my trainer today,” you’re not going to go and then you’re paying for something that you’re not using. [0:47:49] KB: We have been crazy with analogies today. We’ve got like doctor analogies and working out analogies, contractors. [0:47:58] GC: That’s what we do here. So Katie, what your final word on finding a good financial planner? If something doesn’t feel right, go get a second opinion from somebody else. Hopefully, another person who actually can help you discern what it is that you’re looking at and help you find the person that is right for you long term. [0:48:54] GC: Katie, for those of us out there that might not be familiar, can you tell us a little bit about Your Richest Life and what else you do online or offline? [0:49:02] KB: Yeah or offline or whatever, so my website is YourRichestLifePlanning.com. On my website, I have quite a few blog articles almost all about financial planning, some are more fun and festive like “budgeting during the holidays”. Some of them are more in depth like I recently did one about the “Things that you need to know to do estate planning as a young family”. Just because I felt like it was something where sometimes even when people identify like, “I don’t have a will,” they don’t actually know what they even need to think about before they get into that process. If you go to YourRichestLifePlanning.com/blog there’s a whole bunch of articles that could be helpful just to read through and see if it is relevant to you. Then also it describes my services as a fee only financial planner and working with younger folks, that 20, 30 and 40 year old. Hey, young at heart right? 49? [0:50:13] GC: It sounds good Katie. Thank you so much for joining us tonight and sharing your knowledge with us and our listeners and viewers. For everybody out there, please take a look at Your Richest Life and you could definitely find more information about what she does and probably get yourself ready to find that financial planner if that’s what you’re looking for. For those out there, good night and until next week, be good with your money. How do you know you need a financial planner? The benefits of getting another opinion from a professional. Different types of services offered by a financial planner. How to find the right financial planner for your situation.